At the launch of the Nokia 5800 XpressMusic, we got the chance to chat strategy with Nokia's director of the Xpress products group, Sven Jagebro, who said the new handset is the first of many touch phones from the Finns. "Tonight is the release of the S60 touch platform as well this evening," said Jegebro. "We will have multiple handsets, for different consumer types. "In Nokia we have the different series of handsets, which are aimed at different users. For instance, those for the style oriented, the N-Series with is a bigger experience, and 6000 series, which is more easy to use. "I believe we'll see exploration in more segments, with devices targeted at these different segments." Jagebro also said that Nokia was in discussions with a number of UK operators to bring the handset to the UK, though these will be made later in the quarter in conjunction with the new carriers. The 5800 XpressMusic won't be carrying the Comes with Music service initially either, TechRadar has learned. The phone will be sold as a handset when released, but will be imbued with unlimited music downloads early in the first quarter of 2009. 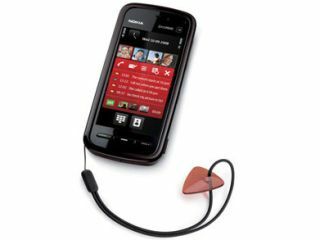 However, Jagebro also revealed that Nokia will be adding to the CWM line-up throughout 2009, in addition to the Nokia N95 and 5310 handsets already announced.